A choice to show our light, to speak our truth, to comfort those in need. May we have the strength to make this choice today and forevermore. A chalice lighting, written for use in worship at the First Parish in Needham on Nov. 4, 2011. 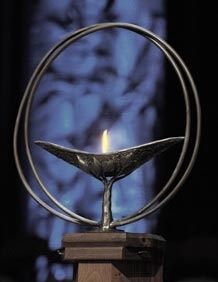 For my non-UU readers: Many UU churches open their service by lighting the flaming chalice, the symbol of Unitarian Universalism.